Experienced carwash owners as well as new operators should have at least one thing in common — a near obsessive interest in the current economic climate as well as future financial projections. Many carwashes learned the hard way beginning in 2008 that any change to basic economic factors — labor pools, loan availability, minimum wage changes, etc. — can have an immediate impact on day-to-day operations. There is little doubt that the last recession’s tough lessons changed the priorities and mindsets of many involved carwash operators. Thankfully, the economy has rebounded, the stock market is up and there is a renewed sense of pride and optimism for American workers and business owners. 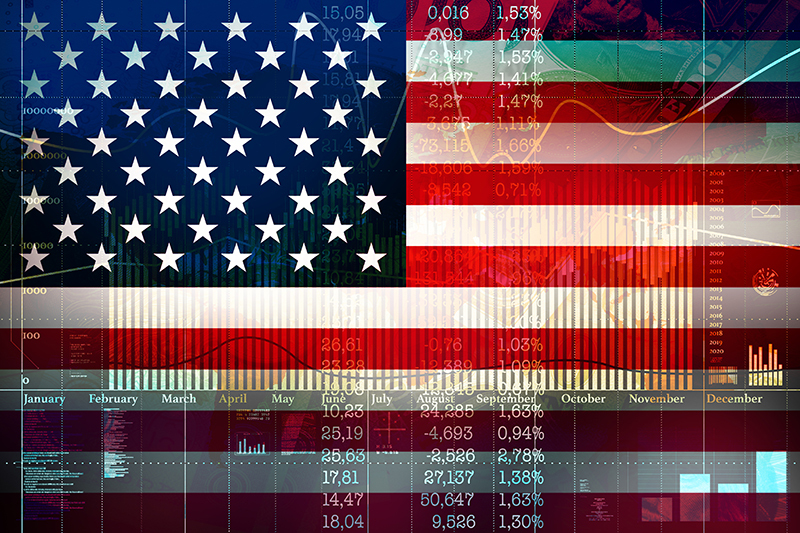 The economy’s upswing has been pushed to new heights since President Donald Trump took office, and many industries are expecting relaxed oversight with less government overreach under the current administration. That said, what are some other factors that operators should consider when assessing today’s carwash market and learning more about emerging trends in the U.S. economy? “I have a bullish view on the next few years; the economy is stable and growing,” says Dave Mitchem, owner of Happy Car Express Wash in Greenville, South Carolina. Mitchem also serves on the board of directors of the Southeastern Car Wash Association (SECWA). Mitchem sees that the stock market and consumer confidence appear to be trending in a positive direction, and consumers have disposable income. These factors are good for the carwash industry as well as the U.S. economy. A resurgence in construction is another economic indicator Mitchem notes. New home construction appears to be strong again with many neighborhoods being developed, and more carwashes are being built as well. Further, the continued growth of the express tunnel model is bringing more driveway washers into professional carwashes, which helps both the car care industry and the environment. Dale Reynolds, president of Carolina Pride Carwash Systems & Solutions and immediate past president of SECWA, explains that most people now seem to have a positive economic outlook about the carwash industry. Based on observing the situation and talking with other business owners, Reynolds saw a positive economic response at the first of the year centered on the presidential election results. “There was definitely a sense of optimism, and I think you’re continuing to see that with the changes in Washington and some deregulation from where it was previously,” he says. Reynolds also states that many people were concerned about continued government overreach and additional costs that were being transferred to business owners previously. Even in bullish economic times, there will always be concerns for carwash owners. Mitchem notes that employee health considerations and safety should always be in the forefront of operators’ minds. As a carwash’s frontline employees are the backbone of the growing industry, providing a safe work environment is a must for every location. Bringing the conversation back to politics, Reynolds states that politicians in Washington, D.C. do not create the biggest challenges for carwash owners. “I think for most small businesses, the bigger challenges are local governments and the challenges with planning boards and development boards,” he explains. Often, the challenges involved with developing new carwashes vary from city to city. In some communities, the development and zoning processes are much leaner than in others, according to Reynolds. Some communities are somewhat anti-development when it comes to carwashes, making new construction extremely difficult. Some properties come with conditions via community regulations that must be met before development can begin. For investors looking to build a wash, these limitations remain one of the biggest challenges to developing a site. But even with these communities’ challenges, there can be a positive opportunity created. “It creates the opportunity for people to redevelop existing carwashes versus totally new development sites,” Reynolds says. Riding the current economic surge, some areas have now surpassed the success they experienced before the Great Recession, Reynolds states. Specifically, the carwash express tunnel market is going strong today. But before the recession, the in-bay automatic locations were experiencing the most growth. As the economy changed, the car care industry changed as well. Today’s busy carwash customers prefer quicker services. Thus, Reynolds has seen that locations are having to reevaluate their business models. It is important for businesses to figure out how to attract new customers and offer new services to which wash users will respond. Even so, the necessity of rethinking a location is not restricted to any one type of carwash. “I think all carwash models are having to reevaluate where they are and how they can continue to grow and compete,” Reynolds says. One trend Reynolds has noticed is more in-bay automatic and self-serve operators adopting some practices from the express washes, such as free use of vacuums. While in-bay automatic and self-serve carwashes currently enjoy the revenue from vacuum use and other add-on services, owners are still interested in enacting changes at their sites. As these businesses begin to convert and offer similar services to the competitive express models, the associated costs will have to be built into the wash package or in-bay service prices, according to Reynolds. Regardless of the changes made, Reynolds notes that there is a lot of growth now taking place in the carwash industry. Many operators are taking the initiative to reinvest in their businesses. “I think most people that we do business with as a supplier, as well as through the association … are constantly reinvesting in their businesses today,” Reynolds says. 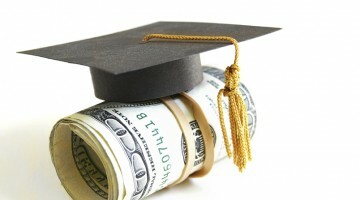 Another lesson taught by the Great Recession is the value of dependable information. Involved owners can better predict economic bumps in the road by staying up-to-date with national and local news. Reynolds states that this idea goes beyond business owners — it is important for everyone to remain involved and stay abreast of news reports. Further, carwash operators must be especially vigilant when it comes to possible changes in rules and regulations that can affect their businesses. Next, Reynolds recommends being a member of the local chamber of commerce, the National Federation of Independent Businesses (NFIB) and the National Chamber of Commerce. Also, the “really great thing” for an owner to do is be a part of his or her local carwash association. Whether it is membership in a state, regional or national association, these groups are a great way to stay in tune with any changes that may affect wash operations. Some of the best opportunities that SECWA offers carwash owners are the roundtable discussions and open forums that the association sets up for local operators. Especially for new investors, the chance to listen and talk to owners that have been in the business for 30, 40 or 50 years is a great opportunity, Reynolds states. Carwash owners can learn about some of the mistakes that other operators made in the past and hopefully keep from repeating them. Mitchem also lists trade associations like SECWA, the International Carwash Association (ICA) and local chambers of commerce as excellent resources for staying current with economic information. Belonging to an industry organization, like SECWA, is a must for any small business as well. “SECWA particularly provides an opportunity to stay abreast of trends in the industry, new technology and information sharing and networking with other carwash owners and vendors,” Mitchem says. 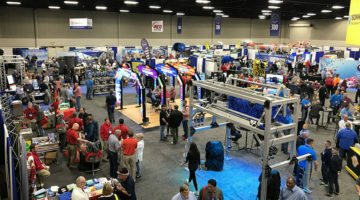 Whether an individual is an owner/operator, manufacturer, service provider or distributor of carwash products, Mitchem feels that belonging to an association and participating in industry events is a valuable investment. Through his years of experience in the car care industry, Reynolds shares that the most successful and long-lasting carwashes — in spite of intimidating economic challenges — are run by operators who continually reinvest in their businesses. Best-in-class operators don’t buy equipment and leave the carwash running and looking the same for decades. Instead, successful owners are constantly looking for new ways to provide additional services.